In 2009 a man arrived at the seaport town of Sligo, Ireland. He was an elderly man with graying hair, thin-framed prescription glasses, and a black leathered jacket. He appeared peacefully lost in the little footage that would be taken of the visiting stranger from CCTV cameras around the town center. For the next three days the man known as Peter Bergmann would meticulously erase all evidence of his existence. His lifeless body would soon be discovered in local waters days after his arrival. Authorities retrieved the body only to find out that Peter Bergmann cut out all labels from his clothes and had no documentation. It was only when they traced him back to the hotel that they realized that Peter Bergmann was not real. The story begins in Derry, Ireland, where authorities were able to trace Bergmann’s arrival. Sifting through hours of footage from several security cameras, they managed to find the footage that showed Bergmann boarding a bus to Sligo, Ireland. A two hour bus ride to the south of the country. 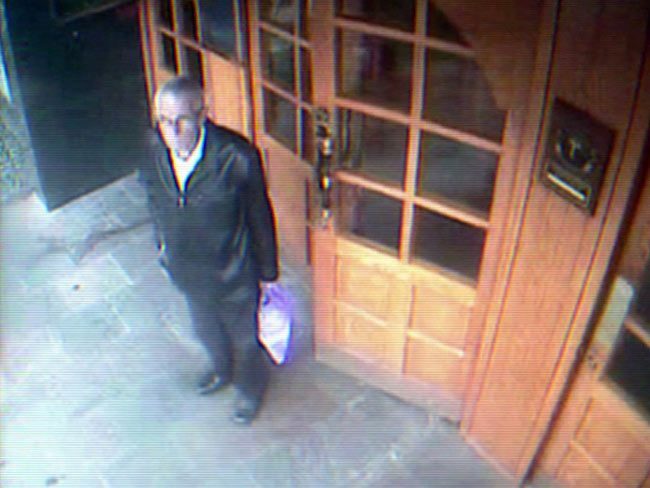 The next footage of the elderly man is from the bus’ arrival at a Sligo center hotel. Here the man checked in under Peter Bergmann and kept a very low profile. He took notice of the several security cameras installed inside and outside the hotel. It was said that he also took a keen look at the city center’s public CCTV cameras that were setup throughout several streets. For the next three days guests and staff at the hotel recount seeing Bergmann leave the hotel while carrying a purple plastic bag full of unknown things which many thought to be personal belongings. Each day, Bergmann would come back through the lobby empty handed. No plastic bag in sight. Strangely enough, when the authorities reviewed the hours of footage, they noticed something even stranger about Bergmann. It became apparent to the investigators that the old man had pre-selected his routes to avoid being recorded by the CCTV lenses that keep a constant look throughout Sligo. They fast forward the tape and another day goes by with Bergmann leaving the hotel with a full bag of his belongings and him coming back empty handed. All while he manages to be seen by security cameras for brief moments at a time. Where did Bergmann go every day? What was in the bag? The investigators scoured through a plethora of CCTV footage and nowhere did they find where he had dumped his belongings. Or what routes he took as Bergmann chose streets with the least amount of surveillance. On his second day in Sligo, Bergmann bought $0.82 worth of stamps and airmail stickers from a postal office. However extensive search yielded no information as to what he did with the stamps and stickers. Did Bergmann send a final correspondence to someone? On his last day in Sligo, Bergmann checked out of the hotel and purchased a one-way ticket back to Rosses Point. 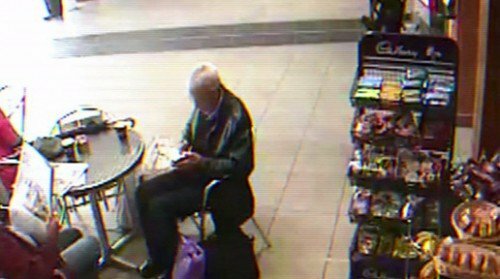 Footage shows him leaving with the same purple plastic bag he left with every morning as well as two suitcases. The same ones seen during his arrival. Bergmann arrived at Rosses Point and went to a cafe and purchased a sandwich and a cappuccino. Cameras show the man eating alone in a contemplative state. Some witnesses then put Bergmann on the beach. Again, alone and looking engulfed in a world of his own. They saw him wading through the water at the beach. He had rolled up his trousers in the ankle-deep water. Someone else saw him later that night, they only stated that the old man waved and nodded at them. When dawn came, Bergmanns’ lifeless body was discovered by a father and son who were out on a run. They remembered seeing the body of an oddly dressed man who was obviously not from the area. The inspection of the body revealed that Bergmann had cut or removed the labels from all the articles of clothing he wore. As if to conceal his own measurements. When an autopsy was performed, investigators learned that there was no evidence of salt water drowning. No evidence whatsoever of an kind of foul play. However they did discover that Bergmann was in a stage of advanced prostate cancer and his body was riddled with bone tumors. There was evidence the he had also suffered from multiple heart attacks throughout his life. As investigators dug and traced all evidence of Bergmann in Sligo, they came to the realization that Bergmann never really existed. No records matched a man named Peter Bergmann. The only thing that the authorities were sure about was that Peter Bergmann was a person that did not exist in the United States, South America, or anywhere in Europe. It was a made up name, just like the address he used to check into the hotel. It was traced to an empty lot somewhere in Vienna, Austria. A documentary called ‘The last days of Peter Bergmann’ directed by Ciaran Cassidy and produced by Morgan Busche was made about the mysterious case of Peter Bergmann, It’s received several awards and has been receiving positives reviews throughout. The documentary shows the spliced, short-lived life of Bergmann in Sligo.